BLS CE: CEs for BLS providers are also available every Tuesday and Thursday in the NREMT classes. ALS CE: Advanced Cardiac Life Support (ACLS) and Pediatric Advanced Life Support (PALS) full two-day and recert one-day classes are offered monthly except in July. Advanced registration is required as seating is limited. Providers must hold a current card to attend the one-day recertification classes. Contact Suzie Helbert at shelbert@co.henry.va.us to register. EVOC: Henry County Department of Public Safety offers both the Virginia Association of Volunteer Rescue Squads (VAVRS) and the Virginia Department of Fire Programs (DFP) Emergency Vehicle Operators Courses (EVOC) classes 1,2, and 3 multiple times each year. Beginning in April of 2019, EMS providers will have the opportunity to receive verification on required skills at the Training Center. Events will be held the last Wednesday of every month, from 1800 to 2100. Contact Suzie Helbert or Hamp Ingram for more information. MISCELLANEOUS CLASSES: HCDPS offers a wide variety of additional classes each year to include Fire and EMS specialty classes and Emergency Management classes. 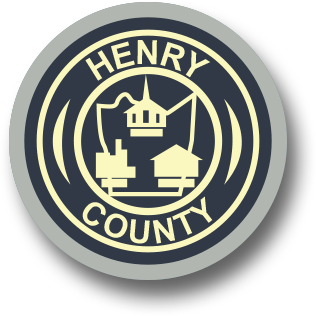 For the most recent updates of classes offered at HCDPS follow Henry County Department of Public Safety on Twitter and Facebook. All classes are held at HCDPS, 1024 DuPont Road, Martinsville, VA 24112 unless otherwise noted.